For many liberal spectators, Slovenia was for a long time considered a success story of transition from a ‘socialist dictatorship’ into a ‘parliamentary democracy’ based on a market economy. In the winter of 2012, however, mass popular uprisings swept through the larger cities and eventually brought down the far-right neoliberal government of the Slovenian Democratic Party. What followed was more or less a continuation of the same policies under a nominally ‘centre-left’ government. In a similar way that Tony Blair could be considered Margaret Thatcher’s greatest achievement, the technocratic approach to dealing with the manifold crisis devastating Slovenian society in general and the historical achievements of labour movement in particular, has become the universal language spoken by all political forces, often including those of organized labour. It seems, considering the socio-economic situation in the entire European periphery, that the subsumption of all spheres of society under the profit-driven rule of capitalist accumulation has only really begun for Slovenia. 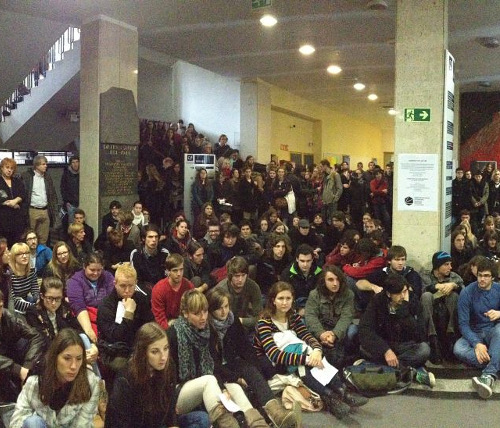 Student assembly at the University of Ljubljana. After the collapse of Yugoslav socialism, two fractions of the bourgeoisie emerged. The ‘transitional-left’ national bourgeoisie, that played the key role in ‘gradualist’ transition between 1992 and 2004, and the more radical, ‘neoliberal’ comprador bourgeoisie, which shifted the restructuring of society to the more typical European ‘shock doctrine’ of privatization, flexibilization and deregulation. Despite the bankruptcy of Marxist theory and socialist political struggle, after a decade of marginalization on behalf of the national bourgeoisie, and another decade of outright demonization from the comprador bourgeoisie, several civil initiatives formed over the past ten years. As the socio-economic situation worsened, a space was once again created for a radical critique of capitalism as an inhuman system of accumulation, tending toward a global totality. Though most of these initiatives were partial in their political struggles as well as their methods of struggle, forming, disintegrating and re-emerging with every new particular struggle, a handful managed to form more permanent, organized structures and coalitions. The United Left: a Pyrrhic Electoral Victory? 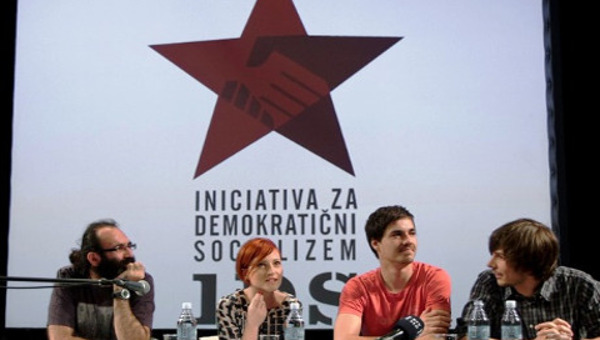 One such coalition, the United Left (UL), brought together three newly formed political parties – the Democratic Labour Party, the Initiative for Democratic Socialism and the Party for Sustainable Development in Slovenia – and a fourth block, made of civil initiatives from the 2012-13 uprisings. The UL, despite having been formed no sooner than April 2014, gained unexpected victories in the European elections (5.9 per cent) and made a breakthrough into the Slovenian parliament (6 per cent) in the elections of June 2014. Many Marxist intellectuals simply disregarded these electoral victories, particularly the latter, as a naïve attempt at obtaining socialist goals within the confines of bourgeois politics. It is the intention of this article to provide an overview of the socio-economic and political developments in Slovenia over the past two decades, to give readers a context on the basis of which to better understand the importance of the socialist movement gaining ground, even if it is at this point relatively small ground. The latest parliamentary election in Slovenia, taking place on July 13th this year, adequately reflected a double political crisis on the national level. 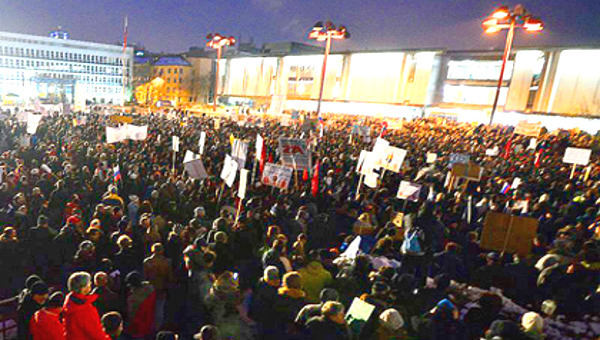 On the one hand, the mass protests that shook the country between the winter of 2012 and the summer of 2014, resulted in the people’s rejection of the repetitive cycling of political power between the conservative Slovenian Democratic Party and the nominally ‘left’ Social Democrats or technocratic liberal parties, the two ‘alternatives’ that have driven policy making and dominant media discourse over the past decade – almost half of Slovenia’s existence as an independent state. On the other hand, this rejection resulted in nothing in particular. The demands of the protests of 2012 and 2013 were largely morally oriented and negatively defined, mainly calling for an end to corruption in politics, government finance (“the banks”) and the public sector, particularly the public healthcare system. Although many civil initiatives formed in this period, few of them were capable of articulating the crisis of capitalism in general terms, opting instead to focus on particular areas, such as public education and public healthcare. Furthermore, these particular areas were mostly treated as mystified entities, plagued by “corruption,” “greed” and “moral bankruptcy,” rather than concrete focal points for organized political struggle toward a common goal of radically changing society. There are several reasons for this, some of which I shall discuss later on, so at this point I will only state that, in the conscience of the people who were actually in the streets, the protests were to a large extent nothing more than a defensive cry of the middle class, whose economic and social comfort was being uprooted by the crisis. Thus, the people demanded a stop to changes for the worse, and that things become okay again – and this is precisely what the leading party of the last election promised. Lead by Miro Cerar, the new Prime Minister of Slovenia, SMC (Stranka Mira Cerarja, literally “The Party of Miro Cerar”) lead a widely ambiguous electoral campaign, directed at conservative as well as liberal voters. With the complete absence of a concrete political program, it was the personal profile of Cerar as a man of liberal policies but conservative/Christian personal values, as a calm academic with an ideologically neutral, technocratic approach to the country’s economic concerns, and his magical promise to stop fooling around and make things right again, that got his party the second largest victory by percentage (at 34.6%) and the largest by the number of seats in the National assembly (36 out of 90), in the history of independent Slovenia. Again, the reasons for this phenomenon can be identified and discussed. Let me propose, for now, that the nature of Cerar’s government will necessarily be unstable, as his wide and ambiguous promises inevitably transform, one by one, into concrete disappointments beyond his control. The second and far more important phenomenon of the last elections was the entrance of the socialist United Left (UL) into parliament, where the opposition party now occupies 6 seats, thanks to support from 6 per cent of the voting population.1 Their campaign, headed by the slogan for a change in political program, not only faces(! ), attracted a large percentage of the young urban population (second only to the leading SMC), as well as many left-leaning intellectuals. While it is true that, like the protests of 2012-13, the main shift occurred in the conscience of the urban middle classes, the UL is constituted by some of the only civil initiatives that were capable of identifying in the current economic and social situation of Slovenia a structural crisis of capitalism on a global scale, and addressing it as such. To understand the significance of this partial electoral victory, we must take a look at the activities of these civil initiatives, especially the Initiative for Democratic Socialism, over the past two years, as well as the Marxist “think-tanks” and academic movements that preceded them. Despite the program of the UL being what one could call radical-reformist, rather than militant-revolutionary, including policies such as an immediate halt to the ongoing privatization of state-owned industry and infrastructure and limiting the income-gap between the lowest and highest income classes to 1/5th with progressive taxation, calling the entrance of this party into parliament a pyrrhic victory would be a naïve understatement. Pyrrhic victory was the term often used by Marxist critics to describe, quite appropriately, the significance that electoral victories of parties such as New Labour in the United Kingdom had for the labour movement in the 90s. It was meant to emphasize the structural nature of the dominance of capital in today’s society, and particularly the fact that capital mainly dominates outside of the parliament, in the material productive and reproductive spheres of society. Thus, victorious labour parties, no matter how true to their aims, would have little or no power to change the actual social order, likely causing more damage than improvement to their electorate. However, in the case of Slovenia, this term applies much more to the dominant SMC, due to its ambiguity, dependence on support from both liberal and conservative populations and thus inevitable fate of disappointment, than to the United Left’s entrance into the parliamentary arena. Before recounting the uprisings of 2012-13 and the formation of progressive political groups, many of which now constitute the United Left, it is important also to understand the economic and political situation of Slovenia since the disintegration of Yugoslavia and the transition to a market economy. The neoliberal counter-revolution that crushed labour movements around the world from the 1970s onward gained new ground after the collapse of (nominally) socialist economies in the East. Most post-socialist societies were exposed to relentless, uncompromising and fast-paced expropriation and capitalist subjugation by economic and non-economic shock doctrines, usually imposed by the cooperation between local comprador-bourgeois governments and international financial institutions, such as the IMF and ECB. This extra-economic violence used to establish conditions for new capitalist expansion is yet another example of Marx’s concept of primitive accumulation serving as a convincing point of departure for a critical analysis of ongoing social processes. Slovenia is somewhat known for taking a so-called gradualist approach to this transition, though this is an oversimplification that often conceals the real nature of the processes involved. Although the standard formula of privatization, deregulation and flexibilization was applied much more gradually than in other post-socialist societies, this was by no means a generous decision made by the bourgeoisie, but the result of intense class-struggle, which only intensified in the first years of transition. A wave of mass strikes and protests in the late 80s and early 90s resulted in a politically strengthened labour movement, organized above all into strong, relatively centralized and politically conscious unions. With the organizational power of the unions, the working-class managed to establish a kind of social dialogue with the state, resulting in the preservation of most of the welfare state systems (free public healthcare, education, daycare etc. ), state ownership over major firms and infrastructure, significant government share in the Slovenian banking system, and above all relative stability on the artificially rigid and regulated labour market. As already mentioned, the dissolution of Yugoslavia and Slovenian independence led to the emergence of two elites: a national bourgeoisie and a comprador bourgeoisie. The aforementioned social dialogue was tied only to the former fraction, embodied in the Liberal Democracy of Slovenia, the ruling political party for the first half of the history of Slovenian independence. Emerging as the leading parliamentary party in 1992, the liberal democrats led the Slovenian government for three consecutive mandates, with only short pauses of small-scale political crises and affairs in between. A major part of what is often referred to as the “transitional left” (together with its main coalitional partner, the Social Democrats), Liberal Democracy was the political force that oversaw the transformation of Slovenian nominally socialist society and its integration into the European capitalist system until 2004. The liberal democrats were far more than a political party, having a significant say in social reproduction as well. Liberal democracy was a political force, organized not only on positions of formal power in bourgeois institutions, but also and perhaps more significantly in social cliques, ranging from the editorial boards of alternative as well as mainstream media to prominent intellectuals within the academic sphere. Indeed, reforming the educational system on all levels happened under the supervision of liberal-democrat ministers (one of which was among the original 31 signatories of the Bologna Declaration of 1999) and with the initiative of prominent intellectuals (among which, interestingly enough, one also finds internationally known philosopher and cultural critic Slavoj Žižek, who continued to actively support the political careers of many prominent liberals up to the recent past). It was the policy-making of the liberal democrats that created today’s pluralist – and secular – educational system. Going into further detail would take us well beyond the boundaries of this article, so I will conclude this section with two statements. Firstly, Liberal Democracy as a political and social force had a hegemonic role in transforming Slovenian society at more than its economic level. Secondly, Liberal Democracy was the ideological force that directed the shift of the Slovenian intellectual and cultural left from socialism to liberalism. It is easy to see why the transitional period of 1990-2004 had no room for Marxist critique or socialist political action. Slovenia experienced, in contrast to 1980s Yugoslavia, a decade of relative political and economic stability. The regular political dialogue between organized labour and the state meant that the former saw no need for militant action or large-scale strategies. Since the standard of living in this period not only did not deteriorate, but often increased, along with the development and accessibility of the institutions of the socialist welfare state that were largely preserved (education, healthcare, daycare, etc. ), the unions, much like elsewhere in the Western world, functioned as part of the bourgeois state apparatus, ensuring the ‘healthy integration’ of the working-class into the capitalist system. Furthermore, socialist discourse gradually gained a negative connotation, until anything that could be associated with socialism or Marxism in any form, theoretical, scientific or practical, was usually labeled as continuity of the ‘old regime’ and quickly marginalized. This was done actively in particular by the conservative bourgeoisie that was to take over from the transitional left in 2004. On May 1st in 2004, less than a decade and a half after its triumph in declaring independence, Slovenia joined the European Union. In the same year, it also joined NATO and a year earlier it had signed the infamous Vilnius letter, declaring its support for the invasion of Iraq. There had been quite a strong civil initiative against such maneuvers, and the events themselves were met with much criticism. Shortly after this Labour Day European integration, the October 2004 parliamentary elections saw the first ever defeat of Liberal Democracy and the rise to power of the far-right Slovenian Democratic Party (SDS). This represented more than an aesthetic change in parliament; it marked the defeat of the transitional left and the victory of a political force that was much more prepared to play the role of comprador bourgeoisie, working largely according to the interest of large-scale global and European capital. The defeat of the national bourgeoisie and the victory of the comprador bourgeoisie brought several consequences. The political orientation of SDS was strongly conservative – having ties with the Catholic Church and often advocating homophobia, racism, nationalism and confessional religious education in primary and secondary schools – and has since escalated to a proto-fascist movement. Its economic policies, appropriately to its role in the post-transitional development of Slovenian society, were strongly neoliberal from the outset. The comprador bourgeoisie underwent the project of fiscal consolidations until Slovenia became the first post-socialist country to meet the Maastricht criteria. In 2007, still under the same government, Slovenia joined the Eurozone. Like the transitional left before it, the neoliberal, comprador bourgeoisie set about transforming society to fit its needs. It began deconstructing the liberal cliques and academic circles, attacking the public education system and gradually establishing a network of private universities, which had the double function of reproducing the dominant ideology of ‘human capital’, the ‘knowledge economy’ and free market thriving through ‘small business’, on the one hand, and ‘human resource’ reproduction for the leading conservative parties, particularly SDS. In this period, the coalition lead by SDS also took several measures intended to weaken the representatives of the working-class. Laws were passed that allowed very small and marginal trade unions to emerge and legally have a status of ‘representative unions’, which weakened the larger unions that had played an important role in the ‘social dialogue’ of the 1990s. As opposed to the larger unions, that covered entire economic sectors and included tens or even hundreds of thousands of workers, these small unions were organized at the level of professions, sometimes having as few as 100 members. This in itself caused the fragmentation of the working-class, as well as allowing SDS to form its own unions. After having destroyed the transitional ‘social dialogue’ and discarded the ‘gradualism’ of the transitional left, the comprador bourgeoisie saw the 2008 Eurozone crisis as an opportunity to take a radical turn and begin actively destroying the achievements of the labour movement. In the 2008 parliamentary election, the conservative SDS was overtaken by the “center-left” Social Democrats, once a coalitional partner of Liberal Democracy. This made little difference in macroeconomic policy: the comprador bourgeoisie had established the new socio-economic order and initiated the game of neoliberal restructuring of society. Incidentally, the Social Democratic government ended after losing a confidence vote in September 2011, catapulting SDS back into power via premature elections in February 2012. By the time this left-right political cycle was established, the Slovenian success story was revealed to have been a mere illusion, poverty and unemployment became real issues in the lives of hundreds of thousands of people and the gradualist transition had been replaced by restrictive fiscal and monetary policies, austerity measures and fully European shock doctrines. The technocratic neoliberal restructuring went further than redundancies, cuts in public sector wages, lower state expenditures for pensions and lower labour compensation for the young and elderly. The once universally accessible and deliberately unprofitable institutions of the socialist welfare state were being implicitly or explicitly destroyed or privatized, commercialized and commodified. The last SDS government of 2012, which was exceptionally brutal in its policies, was challenged with mass uprisings in Slovenia’s larger cities. The scale of these demonstrations exceeded anything that had been seen since the early days of transition. It is in these uprisings of 2012 and 2013, which prematurely ended the SDS government, that groups such as the Initiative for Democratic Socialism played the important role of articulating the manifold crises sweeping across Slovenian society as a general crisis of capitalism. These shock doctrines put organized labour into a difficult position. Although the unions were capable of stopping all major neoliberal reforms, such as large-scale privatization of the higher education system and the implementation of a uniform tax rate, the crisis and austerity policies of the neoliberal bourgeoisie place them into an exclusively defensive position. The role of the unions in preserving the historically achieved standards of the labour movement had been, and still remains, immensely important, but due to their role of integrating the working-class into the capitalist system and the social dialogue that they were based on, they are incapable of doing more than preserving the existing social order. The political action of the unions was soon limited to technical battles over legislation that rarely included mass mobilization (though when strikes and mass demonstrations do come into question, they have yet to disappoint). Furthermore, they are more and more often met with criticism of being ‘overly political’, despite the direct opposite being true. In any case, it eventually became obvious that the existing forms of organized labour were incapable of forming, much less carrying out a political strategy of a socialist offensive, aimed at radically transforming the very roots of society. These strategies eventually began emerging in theoretical form within various student and academic struggles and marginal Marxist groupings. The Institute for Labour Studies, formerly known as the Workers’ and Punks’ University, played an important role in producing critical analyses of capitalist society and developing consistent readings and understanding of Marxist critique of political economy. When the crisis of 2008 broke out and civil initiatives of a more practical orientation began to form, in was think-tanks such as the Institute for Labour Studies that often gave them the theoretical tools needed to articulate political strategies in general terms and recognize the problems of poverty, unemployment and underemployment that so many people now faced as symptoms of a structural crisis of the capitalist system as a whole. 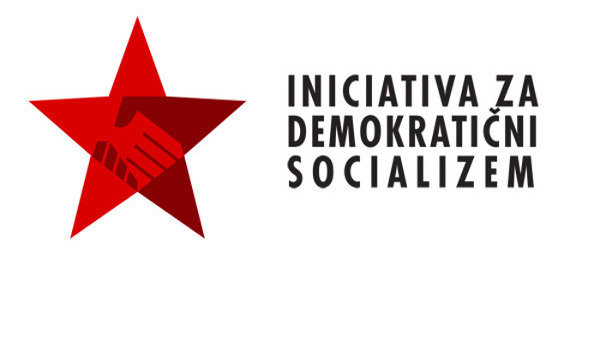 Many member of the Institute for Labour Studies later formed the Initiative for Democratic Socialism, one of the parties in the United Left coalition. These organizations emerged, in part, out of the struggles fought by student and academic initiatives against the neoliberal restructuring of public universities and the commodification of higher education in general. An important event that defined much later development was the 2011 occupation of the Faculty of Arts, part of the University of Ljubljana. One important group that emerged from the months of conflict with the academic authorities was the student organization Iskra (literally, Spark). Formed in 2012, the students of Iskra challenged not only the intense austerity measures of the SDS government, but also the technocratic higher-education policies of the post-2013 uprisings government. The ministry for education at the time was being run by the Social Democrats, who were met with bitter socialist criticism in a several month long campaign against their proposed new higher education bill. Through this particular struggle, Iskra managed not only to articulate a (tactically implicit) Marxist critique of capitalism itself, but also to form a wide, if temporary coalition with most of the organized civil society, as well as many of the largest unions in the country. Ending its campaign with a mass protest in April 2014, Iskra was the first self-organized civil initiative to bring 2000 people out into the streets of Ljubljana and manage to retain the momentum created through a concrete political action, translating it into general critique. Bringing Marxist critique into public discourse and making it accessible even to the educated, middle-class population was a much more tedious and difficult task as it may seem. Whereas Marxism and its political variations were gradually marginalized throughout the 90s by the transitional left, under the neoliberal comprador bourgeoisie socialist theory and practice was directly demonized. The paranoia of a communist conspiracy, spread among the electorate of SDS via party propaganda, soon became a means of mobilizing the masses through fear. This is one of the tactics that the comprador bourgeoisie constantly used and reused to gain support in times of elections. Even today, SDS, now in opposition, attributes the imprisonment of its leader (in reality on the basis of corruption during his affair, as prime minister, of accepting bribery for a large purchase of military equipment) to ‘communist puppeteers’ controlling the supreme court. Four of the 6 MPs are from Initiative for Democratic Socialism. Jaša Lategano is an activist of Iskra in Slovenia.